1945 World War II: Prisoners at the Jasenovac concentration camp revolted. 520 were killed and 80 escaped. 2008 The United States Air Force retired the remaining F-117 Nighthawk aircraft in service. 2010 – Deepwater Horizon, an oil rig owned by BP and Transocean, sank to the bottom of the Gulf Of Mexico after a blowout two days earlier. 1453 The French recapture of Bordeaux brings the Hundred Years’ War to a close, with the English retaining only Calais on French soil. 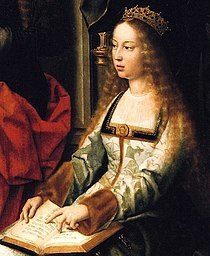 1469 Ferdinand II of Aragon married Isabella I of Castile which paved the way to the unification of Aragon and Castile into a single country, Spain. 1850 – Annie Smith Peck, US mountaineer, was born. 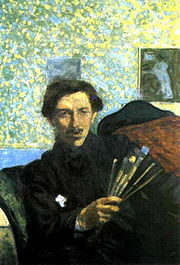 1882 Italian artist Umberto Boccioni was born. 1899 Miguel Ángel Asturias, Guatemalan writer, Nobel Prize laureate, was born. 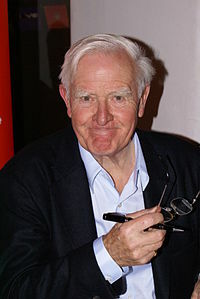 1931 English writer John le Carré was born. 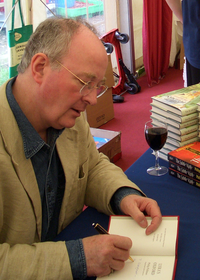 1946 Englsih writer Philip Pullman was born. 1966 US President Lyndon Johnson & his wife, Lady Bird, arrived at Ohakea for a 24 visit to New Zealand. 1974 Niue beccame a self-governing colony of New Zealand.